(On) fire squad: Want to create a video with up to 30 collaborators? There's an app for that on iPhone, called JumpCam. First responder: Lots of bloggers struggle with how much and what to write about themselves. The best read I've seen yet on the topic shares why you should be blogging your origin story--and that doesn't mean your life story. No two fires are alike: Demographics drive what makes every social network unique. Learn the surprising identity of each social network in this gem of an article. Sound the alarm: Fan of Saturday Night Live who lives outside the U.S.? Now there's a YouTube channel for you. 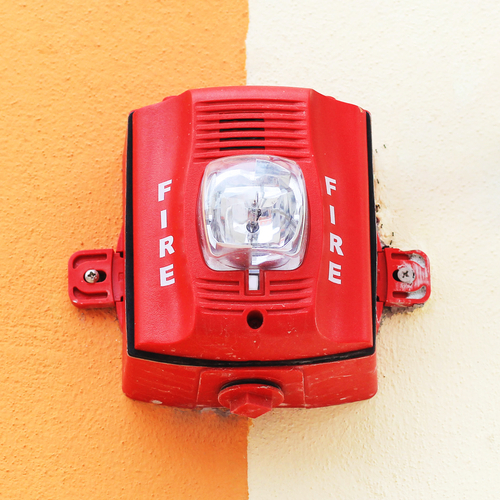 Search and rescue: Think you're crazed about SEO results? Well, Google changed its search algorithm dramatically and no one noticed. Now, you can make more conversational searches, something that's a big advantage for many bloggers. Like a house on fire: My most retweeted and favorited share this week, hands down: There's a new "citation generator" that will help you create cites when you want to reference a tweet in an academic paper. All into footnotes, are you? Now hear this: A handful of federal agencies are testing Twitter Alerts, designed to help them communicate emergency news. They know the drill: Want to engage alumni? Here are 8 ways to do that with Google+ Hangouts. I'm on fire about having you stop here on Fridays and the weekend. Thanks for reading! "He's the stupidest reporter ever!" Or is he? Shutdown your message: Can it stand alone?